Did dinosaurs go extinct due to malaria? A new research on the history of malaria’s evolution has revealed that the disease first affected insects nearly 100 million years ago and the first vertebrate hosts of the disease were reptiles, including dinosaurs. The research provides clues on malaria’s modern-day life cycle and how its transmission through vectors can be reduced. “By knowing that malaria is so old and evolved in insect vectors, we can concentrate on using its stages in the mosquito rather than in humans for genetic manipulation and control,” George Poinar, lead author of the study and a researcher at the College of Science at the Oregon State University, said. Till now, malaria was thought to be very recent, anywhere between 15,000 years and eight million years old. 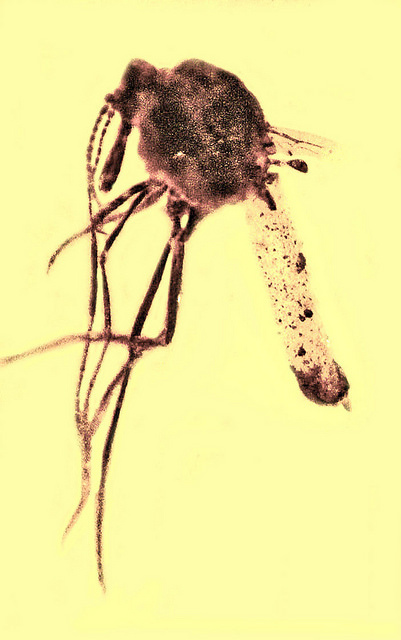 Its most common vector is the anopheles mosquito and most common cause is plasmodium, a genus within the kingdom protozoa. Poinar’s study was triggered after a discovery in Asia. “It comes from our earlier discovery of a biting midge vector containing the developing stages of a malarial parasite in a 100-million-year-old amber from Burma. There were malaria stages (developing stages of oocysts and sporozoites) inside the biting midge,” Poinarg said. In their 2007 book What bugged the dinosaurs? Insects, disease and death in the cretaceous, Poinar and his wife, Roberta, have also pointed out that malaria and evolution of blood sucking insects could be one among the many factors that led to the extinction of dinosaurs. “There were catastrophic events known to have happened around that time, such as asteroid impacts and lava flows,” Poinar said, in a press release by Oregon. “But it’s clear that dinosaurs declined and slowly became extinct over thousands of years, which suggests other issues must also have been at work. Insects, microbial pathogens and vertebrate diseases were just emerging around that same time, including malaria,” he added. In fact, new research suggests that avian malaria is responsible for extinction of many bird species in Hawaii, lending credence to Poinar’s similar hypotheses for dinosaurs. Malaria kills more than 400,000 people a year. In 2015 alone, 214 million cases were recorded worldwide, according to the World Health Organization.